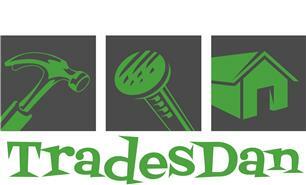 TradesDan - Home Improvements, Painter/Decorator based in Deal, Kent. Hello. My name's Danny. I have lived in Deal since a very young age. I come from a family of proud builders. I've been working on site since I left college and have learnt a multitude of trades from working on site with a company that did extensions. I have experience in; Painting and decorating, tiling, carpentary, plastering, dry-lining, roofing, insulatating, decking, Fecning + more. I'm happy to take on site work, or even the smallest of jobs. I'm a perfectionist and take a lot of pride in my work. I give free quotes and like to help out as much as possible. If you have any questions, please feel free to email or call me and I can provide you with good and honest advice on any work that you aren't too sure on. Canterbury, Deal, Dover, Folkestone, Thanet and all surrounding areas.